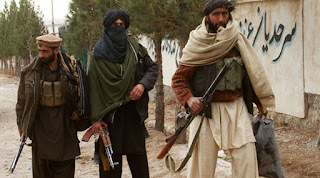 Truth by Kbaig: The Motives behind Tension on Pak-Afghan Border..! The Motives behind Tension on Pak-Afghan Border..! While talking of Indian support for Afghanistan, construction of Afghan Parliament, Dams and electricity distribution system etc, funds provided for the construction education structure like colleges, schools etc; Afghans forget that Pakistan is the only country hosting 2 million Afghan refugees. 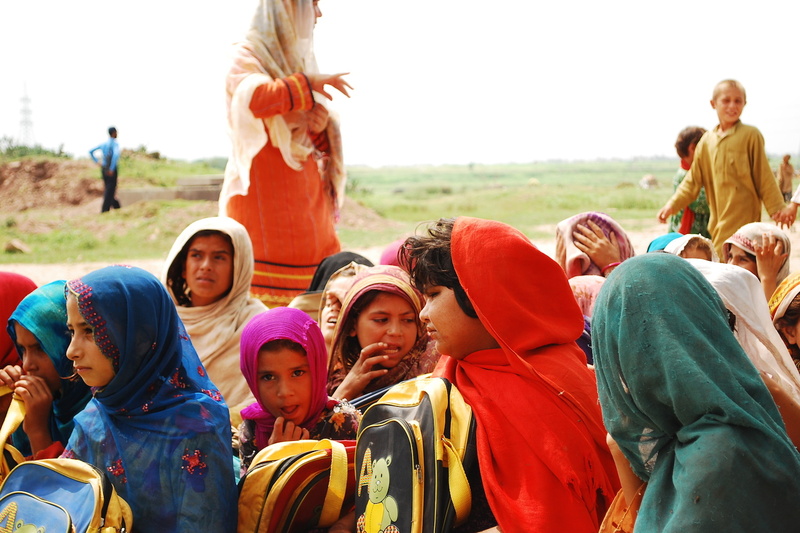 In the last few years most of the refugees have returned to Afghanistan but most of them still frequently visit Pakistan for their businesses etc. The problems that were created by the migration of these refugees include drug trafficking, smuggling of prohibited bore automatic weapons and Kalashnikovs, human trafficking etc. On the one hand younger generation of Pakistan got addiction of Heroine and land grabbing was evolved as a business. It was very easy for Afghan refugees to get involved in any criminal activity and flee to Afghanistan; when the issue was settled down they returned for further crimes. Afghan refugees lived here, did their businesses here to earn livelihood, got married here but transferred their money either to Afghanistan or to Dubai through illegal money transfers. Even they buried their dead bodies to be transferred to Afghanistan whenever it was possible. In spite of such sacrifices by Pakistan Afghan governments prefer India over Pakistan and appreciate India, speak the Indian language against Pakistan, and play the role of facilitator for terrorism in Pakistan providing manpower as well. In such a situation Pakistanis are forced to think that although Afghans have religious, traditions etc ties with Pakistan than why Afghans are always ready for enmity against Pakistan. During the Afghan resistance against Soviet invasion two types of Afghans migrated to Pakistan, one that were against the Soviet concept of Communism. They played role of vanguard in the resistance war against Soviet Union. While the other type of Afghans was that who supported communism, they favored Soviet Union invasion but did not dare to stand side by side of Soviet Union for Socialism. 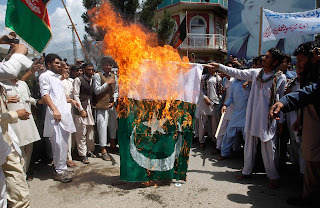 In contrast to them the supporters of communism gave statements against Pakistan’s policies supporting Afghans. While Afghan supporters of communism remained inactive waiting for the proper time. They changed sides to capitalism when Soviet Union lost the war. After fall of Taliban they came into power and their friendship for India came to the surface as well. During the reign of Qarzai, India made her presence in Afghanistan stronger and converted liberal and moderated Afghans into another army against Pakistan. USA and allies ignored Indian exploitation of Afghanistan for terrorism in Pakistan due to their multi-purpose interests and pressurized Pakistan in order to facilitate India for her goals against Pakistan. Indian wanted to make Pakistan under her control while USA wanted to disarm Pakistan from nuclear weapons so that in case of an expected use of Indian military against China may not create any problem. 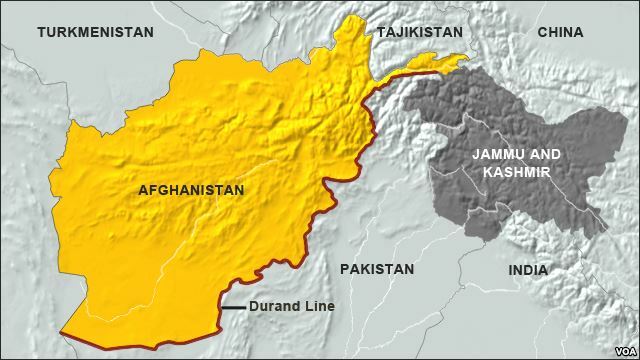 During the reign of Qarzai, Afghanistan was given into the total control of India. In the Afghan secret agency NDS from Chief to lower ranks all appointments were made on the recommendations of RAW. Afghan National Army officers were trained at India and promoted on the recommendation of India. 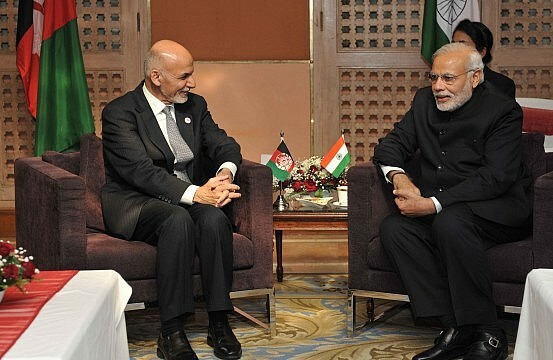 With the change of government from Qarzai to neutral Ashraf Ghani it was hoped that Indian exploitation of Afghanistan against Pakistan would come to end but Ashraf Ghani proved to be more dangerous for Pakistan than Qarzai. All major terrorist attacks were executed in Pakistan during Ghani’s govt. After each major attack, the tone of Ghani got harsher against Pakistan. 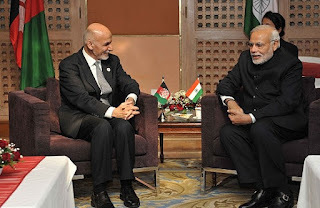 What Afghan rulers think about Pakistan this can be imagined from the interview of Ghani to Pakistan TV on 23 June 2016, in which he termed India as friendly towards Afghanistan while termed Pakistan as bigger threat than Al-Qaeda and Taliban. This is the sentence that Indian rulers, Generals, Ministers and Hindu extremists have been repeating since 2001. When USA decided to attack Afghanistan, India raised hue and cry that USA should attack Pakistan in spite of Afghanistan, India offered airports and Indian Air Force for US Air force. Problem is not of the conspiracies against Pakistan from Afghanistan but there are such elements within Pakistan who were fond of being known as Comrades in the past favoring Soviet Communism; after fall of Communism they are still playing role of facilitators against Pakistan. They have failed to explain that when nationalism’s meaning were changed to enmity against motherland? Why all so-called nationalist parties are more near to India and Afghanistan in spite of Pakistan. Soviet Union after three years of Communist revolution started to increase their influence in British ruled India. Soviet Union hosted a special conference in its captured state of Azerbaijan in 1980 in order fuel regional nationalism. The Chiefs from Balochistan and NWFP of British controlled India who have failed to secure any special status in the British empire. After independence of Pakistan, these Chiefs kept working for establishing Communism in these two provinces of Pakistan for which it was necessary to separate these provinces from Pakistan. The communists from these provinces started separation movement for which India lent them special support. Afghanistan was made as the camp for anti Pakistan activities where Moscow has already succeeded in establishing influence. Here I would like to mention the book “Pakistan Under Challenge” written by Rushbook L.F. Williams in 1975, in which he has discussed the role of nationalists of KPK and Balochistan. On the page no 106 and 107 of the said there is a map created by nationalists which shows Pakistan limited to Sind and Punjab only after Communist revolution. In the light of the activities of nationalists present in Western provinces of Pakistan, US think tanks also predicted about the stability and integrity of Pakistan. In February 1996, the statement given by Special Advisor for Foreign Affairs of Uzbekistan is om jte the record in which he attemped to wake up Pakistani nation in the light of his relations and experiences with India that how Indian ambassadors are busy in lobbing in USA against Pakistan. They want to end the existence of Pakistan by establishing Greater Balochistan, Sistan, Badakhishan, and NWFP into Afghanistan. One may consider this as a mere conspiracy theory but this is also a bitter reality that since 2001, USA has badly failed to establish link between Afghanistan and 9/11 terrorist attacks. The developments in the area prived that the goals of attack over Afghanistan in 2001 were not those that were forwarded by USA. This was also witnessed by the world that those communist elements in Pakistan who celebrated the invasion of Soviet Union in 1979, and gave good tiding s of entering into Pakistan on the Russian tanks in their writings about Red Morning. After retreat of Soviet Union and US invasion in 2001, they joined US imperialism, their inner communist died away but their will for disintegrate Pakistan into Greater Balochistan and Greater Pakhtunistan is still alive. Few weeks ago, when special friend of govt. of Pakistan Mehmood Khan Achakzai gave statement about Afghan refugees, “KPK belongs to Afghan refugees, they can live there as long as they like”. Azhakzai’s statement shows that mindset whose foundation was laid down by Soviet Union however, USA and India are trying to construct building over it. In the way Achakzai raised the issue of Deurand Line and the time chose for this is astonishing. He ignored this historical reality that it was established during the British India, even if there was any deal for 100 years, the public of KPK during referendum gave their verdict in favor of Pakistan making Durand line as an International Border between Afghanistan and Pakistan. This was the last nail in the coffin of Greater Pakhtunistan. Alas! Those communists who are now in the supervision of USA and continue singing the song of human rights they have never dared to condemn the use to shotgun in Indian held Kashmir taking eye sights of Kashmiri children. The see all faults in Pakistan army and secret agencies. If anyone says anything against RAW they get angry. If they are really friends of Afghans and Afghanistan than they should free it from India and explain that why Presidential Adviser Engineer Muhammad Khan was arrested despite of having close links with Chief Executive or Abdullah Abdullah. Date: 28 August to 03 September 2016.